John Ousterhout is the Bosack Lerner Professor of Computer Science at Stanford University. His current research focuses on new software stack layers to allow datacenter applications to take advantage of communication and storage technologies with microsecond-scale latencies. Ousterhout's prior positions include 14 years in industry, where he founded two companies (Scriptics and Electric Cloud), preceded by 14 years as Professor of Computer Science at U.C. Berkeley. He is the creator of the Tcl scripting language and is also well known for his work in distributed operating systems and storage systems. Ousterhout received a BS degree in Physics from Yale University and a PhD in Computer Science from Carnegie Mellon University. He is a member of the National Academy of Engineering and has received numerous awards, including the ACM Software System Award, the ACM Grace Murray Hopper Award, the National Science Foundation Presidential Young Investigator Award, and the U.C. Berkeley Distinguished Teaching Award. - The most fundamental problem in computer science is problem decomposition: how to take a complex problem and divide it up into pieces that can be solved independently. 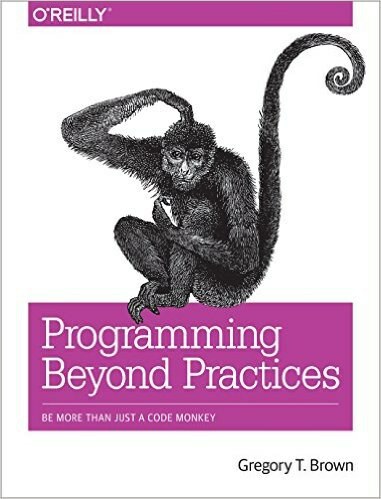 - The best way to use this book is in conjunction with code reviews.- One of the best ways to improve your design skills is to learn to recognize red flags: signs that a piece of code is probably more complicated than it needs to be. 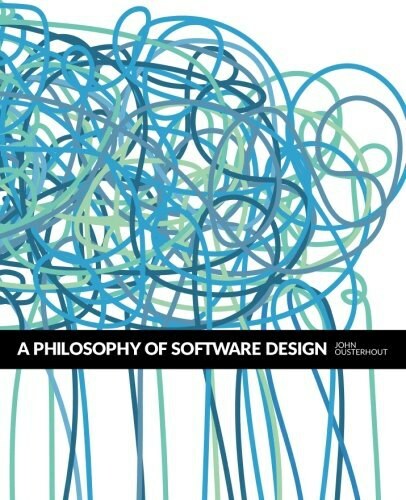 - When applying the ideas from this book, it’s important to use moderation and discretion.- This means that the greatest limitation in writing software is our ability to understand the systems we are creating. 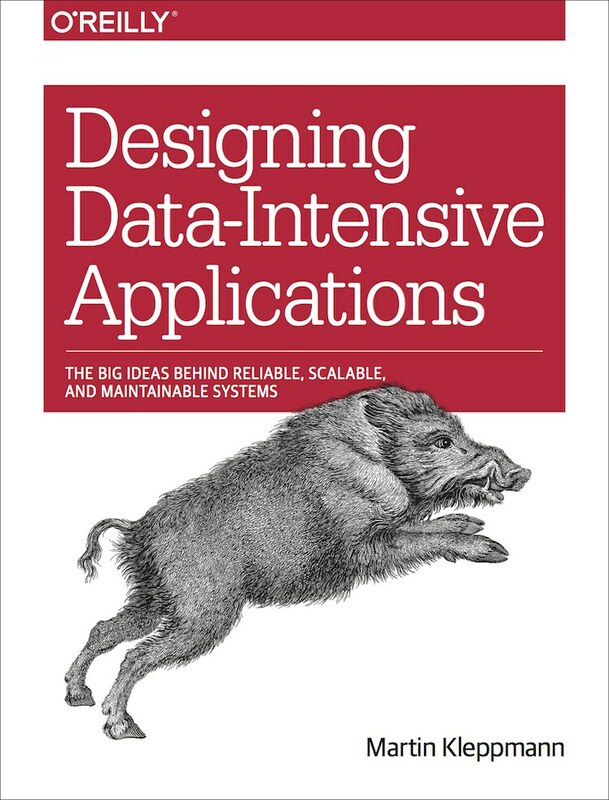 - There are two general approaches to fighting complexity, both of which will be discussed in this book. 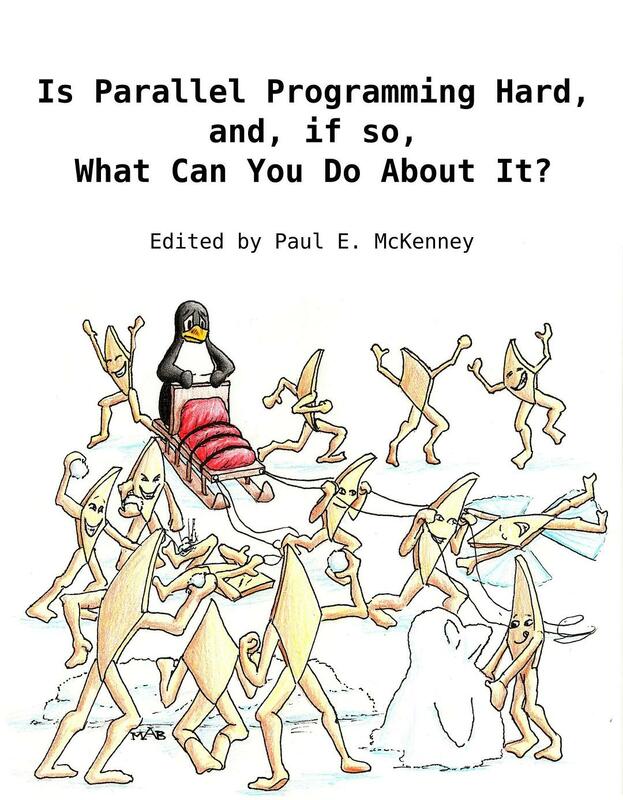 - The first approach is to eliminate complexity by making code simpler and more obvious.- The second approach to complexity is to encapsulate it, so that programmers can work on a system without being exposed to all of its complexity at once.- agile development, in which the initial design focuses on a small subset of the overall functionality.- the waterfall model, in which a project is divided into discrete phases such as requirements definition, design, coding, testing, and maintenance.- If software developers should always be thinking about design issues, and reducing complexity is the most important element of software design, then software developers should always be thinking about complexity. ### 3.1 Tactical programming- In the tactical approach, your main focus is to get something working, such as a new feature or a bug fix.- The problem with tactical programming is that it is short-sighted.- The tactical tornado is a prolific programmer who pumps out code far faster than others but works in a totally tactical fashion.### 3.2 Strategic programming- The first step towards becoming a good software designer is to realize that working code isn’t enough.- Rather than taking the fastest path to finish your current project, you must invest time to improve the design of the system.### 3.3 How much to invest?- The ideal design tends to emerge in bits and pieces, as you get experience with the system.- Thus, the best approach is to make lots of small investments on a continual basis.### 3.4 Startups and investment- The best way to lower development costs is to hire great engineers: they don’t cost much more than mediocre engineers but have tremendously higher productivity.- Facebook changed its motto to“Movefast with solid infrastructure” to encourage its engineers to invest more in good design. ### 6.1 Make classes somewhat general-purpose- In my experience, the sweet spot is to implement new modules in a somewhat general-purpose fashion. - The phrase“somewhatgeneral-purpose” means that the module’s functionality should reflect your current needs, but its interface should not. - The word“somewhat”is important: don’t get carried away and build something so general-purpose that it is difficult to use for your current needs. - The most important(andperhaps surprising) benefit of the general-purpose approach is that it results in simpler and deeper interfaces than a special-purpose approach.### 6.2 Example: storing text for an editor- One of the goals in class design is to allow each class to be developed independently, but the specialized approach tied the user interface and text classes together.### 6.4 Generality leads to better information hiding- One of the most important elements of software design is determining who needs to know what, and when.### 6.5 Questions to ask yourself- If a method is designed for one particular use, such as the backspace method, that is a red flag that it may be too special-purpose.- If you have to write a lot of additional code to use a class for your current purpose, that’s a red flag that the interface doesn’t provide the right functionality. - Most modules have more users than developers, so it is better for the developers to suffer than the users.- As a module developer, you should strive to make life as easy as possible for the users of your module, even if that means extra work for you.- it is more important for a module to have a simple interface than a simple implementation.- Thus, you should avoid configuration parameters as much as possible.- Ideally, each module should solve a problem completely; configuration parameters result in an incomplete solution, which adds to system complexity. 9 Better Together Or Better Apart? - When deciding whether to combine or separate, the goal is to reduce the complexity of the system as a whole and improve its modularity.- Here are a few indications that two pieces of code are related:- They share information- They are used together- They overlap conceptually- It is hard to understand one of the pieces of code without looking at the other.### 9.3 Bring together to eliminate duplication- One approach is to factor the repeated code out into a separate method and replace the repeated code snippets with calls to the method.- If the snippet is only one or two lines long, there may not be much benefit in replacing it with a method call.### 9.4 Separate general-purpose and special-purpose code- In general, the lower layers of a system tend to be more general-purpose and the upper layers more special-purpose.### 9.8 Splitting and joining methods- However, length by itself is rarely a good reason for splitting up a method.- When designing methods, the most important goal is to provide clean and simple abstractions. Each method should do one thing and do it completely. - The key overall lesson from this chapter is to reduce the number of places where exceptions must be handled; in many cases the semantics of operations can be modified so that the normal behavior handles all situations and there is no exceptional condition to report### 10.1 Why exceptions add complexity- A recent study found that more than 90% of catastrophic failures in distributed data-intensive systems were caused by incorrect error handling### 10.2 Too many exceptions- classes with lots of exceptions have complex interfaces, and they are shallower than classes with fewer exceptions.### 10.4 Example: file deletion in Windows- In Unix, if a file is open when it is deleted, Unix does not delete the file immediately. Instead, it marks the file for deletion, then the delete operation returns successfully.### 10.5 Example: Java substring method- Overall, the best way to reduce bugs is to make software simpler.### 10.10 Taking it too far- The best way to do this is by redefining semantics to eliminate error conditions. - Try to pick approaches that are radically different from each other; you’ll learn more that way.- After you have roughed out the designs for the alternatives, make a list of the pros and cons of each one.- Unfortunately, I often see smart people who insist on implementing the first idea that comes to mind, and this causes them to underperform their true potential(italso makes them frustrating to work with). - Documentation also plays an important role in abstraction; without comments, you can’t hide complexity.- Finally, the process of writing comments, if done correctly, will actually improve a system’s design.### 12.1 Good code is self-documenting- If users must read the code of a method in order to use it, then there is no abstraction: all of the complexity of the method is exposed.### 12.2 I don’t have time to write comments- Thus, if you allow documentation to be de-prioritized, you’ll end up with no documentation.- Good comments make a huge difference in the maintainability of software, so the effort spent on them will pay for itself quickly.### 12.3 Comments get out of date and become misleading- Code reviews provide a great mechanism for detecting and fixing stale comments.### 12.5 Benefits of well-written comments- The overall idea behind comments is to capture information that was in the mind of the designer but couldn’t be represented in the code. - comments should describe things that aren’t obvious from the code.- The idea of an abstraction is to provide a simple way of thinking about something, but code is so detailed that it can be hard to see the abstraction just from reading the code.- Developers should be able to understand the abstraction provided by a module without reading any code other than its externally visible declarations.### 13.1 Pick conventions- Most comments fall into one of the following categories - Interface: a comment block that immediately precedes the declaration of a module such as a class, data structure, function, or method. - Data structure member: a comment next to the declaration of a field in a data structure, such as an instance variable or static variable for a class. - Implementation comment: a comment inside the code of a method or function, which describes how the code works internally. - Cross-module comment: a comment describing dependencies that cross module boundaries.- Every class should have an interface comment, every class variable should have a comment, and every method should have an interface comment.### 13.2 Don’t repeat the code- The most common reason is that the comments repeat the code: all of the information in the comment can easily be deduced from the code next to the comment.- Another common mistake is to use the same words in the comment that appear in the name of the entity being documented:- A first step towards writing good comments is to use different words in the comment from those in the name of the entity being described.### 13.3 Lower-level comments add precision- Comments augment the code by providing information at a different level of detail. - Some comments provide information at a lower, more detailed, level than the code; these comments add precision by clarifying the exact meaning of the code. - Other comments provide information at a higher, more abstract, level than the code; these comments offer intuition,- When documenting a variable, think nouns, not verbs. In other words, focus on what the variable represents, not how it is manipulated.### 13.4 Higher-level comments enhance intuition- But, great software designers can also step back from the details and think about a system at a higher level. - This means deciding which aspects of the system are most important, and being able to ignore the low-level details and think about the system only in terms of its most fundamental characteristics. - Comments of the form“howwe get here” are very useful for helping people to understand code.- If you want code that presents good abstractions, you must document those abstractions with comments.### 13.5 Interface documentation- Interface comments provide information that someone needs to know in order to use a class or method; they define the abstraction.- If interface comments must also describe the implementation, then the class or method is shallow.- The interface comment for a method includes both higher-level information for abstraction and lower-level details for precision:- The main goal of implementation comments is to help readers understand what the code is doing### 13.6 Implementation comments: what and why, not how- In addition to describing what the code is doing, implementation comments are also useful to explain why.- However, if the variable is used over a large span of code, then you should consider adding a comment to describe the variable.- When documenting variables, focus on what the variable represents, not how it is manipulated in the code.### 13.8 Conclusion- When writing comments, try to put yourself in the mindset of the reader and ask yourself what are the key things he or she will need to know. - Good names are a form of documentation: they make code easier to understand.### 14.1 Example: bad names cause bugs- It took six months, but I eventually found and fixed the bug.### 14.2 Create an image- When choosing a name, the goal is to create an image in the mind of the reader about the nature of the thing being named.- Names are a form of abstraction: they provide a simplified way of thinking about a more complex underlying entity.- the best names are those that focus attention on what is most important about the underlying entity while omitting details that are less important.### 14.3 Names should be precise- Good names have two properties: precision and consistency.- For example, it’s fine to use generic names like i and j as loop iteration variables, as long as the loops only span a few lines of code.- If you find it difficult to come up with a name for a particular variable that is precise, intuitive, and not too long, this is a red flag.- If it’s hard to find a simple name for a variable or method that creates a clear image of the underlying object, that’s a hint that the underlying object may not have a clean design.- If you use names such as i and j for loop variables, always use i in outermost loops and j for nested loops.### 14.4 Use names consistently- For each of these common usages, pick a name to use for that purpose, and use the same name everywhere.- Consistency has three requirements: - first, always use the common name for the given purpose; - second, never use the common name for anything other than the given purpose; - third, make sure that the purpose is narrow enough that all variables with the name have the same behavior.### 14.5 A different opinion: Go style guide- readability must be determined by readers, not writers.- The greater the distance between a name’s declaration and its uses, the longer the name should be. - The best time to write comments is at the beginning of the process, as you write the code.### 15.2 Write the comments first- The comments-first approach has three benefits. - First, it produces better comments. - The second, and most important, benefit of writing the comments at the beginning is that it improves the system design. - The third and final benefit of writing comments early is that it makes comment-writing more fun.### 15.3 Comments are a design tool- Comments provide the only way to fully capture abstractions, and good abstractions are fundamental to good system design.- If a method or variable requires a long comment, it is a red flag that you don’t have a good abstraction.- comments are only a good indicator of complexity if they are complete and clear.### 15.4 Early comments are fun comments### 15.5 Are early comments expensive?- Writing the comments first will mean that the abstractions will be more stable before you start writing code.- If you haven’t ever tried writing the comments first, give it a try. Stick with it long enough to get used to it. - the design of a mature system is determined more by changes made during the system’s evolution than by any initial conception.### 16.1 Stay strategic- The tactical approach very quickly leads to a messy system design.- If you want to maintain a clean design for a system, you must take a strategic approach when modifying existing code.- Ideally, when you have finished with each change, the system will have the structure it would have had if you had designed it from the start with that change in mind.### 16.2 Maintaining comments: keep the comments near the code- The best way to ensure that comments get updated is to position them close to the code they describe- Spread them out, pushing each comment down to the narrowest scope that includes all of the code referred to by the comment.### 16.3 Comments belong in the code, not the commit log- A common mistake when modifying code is to put detailed information about the change in the commit message for the source code repository, but then not to document it in the code.### 16.4 Maintaining comments: avoid duplication- Instead, try to document each design decision exactly once.- If information is already documented someplace outside your program, don’t repeat the documentation inside the program; just reference the external documentation. - Consistency creates cognitive leverage: once you have learned how something is done in one place, you can use that knowledge to immediately understand other places that use the same approach.### 17.1 Examples of consistency### 17.2 Ensuring consistency- The best way to enforce conventions is to write a tool that checks for violations, and make sure that code cannot be committed to the repository unless it passes the checker.- The most important convention of all is that every developer should follow the old adage“Whenin Rome, do as the Romans do.”- Don’t change existing conventions.- Your new idea may indeed be better, but the value of consistency over inconsistency is almost always greater than the value of one approach over another. ### 18.1 Things that make code more obvious- Judicious use of white space. The way code is formatted can impact how easy it is to understand.- Blank lines are also useful to separate major blocks of code within a method,- This approach works particularly well if the first line after each blank line is a comment describing the next block of code: the blank lines make the comments more visible.### 18.2 Things that make code less obvious- If the meaning and behavior of code cannot be understood with a quick reading, it is a red flag.- software should be designed for ease of reading, not ease of writing. ### 19.1 Object-oriented programming and inheritance- Thus, implementation inheritance should be used with caution.- One of the key elements of object-oriented programming is inheritance.### 19.2 Agile development- One of the most important elements of agile development is the notion that development should be incremental and iterative.- the increments of development should be abstractions, not features.### 19.5 Design patterns- Design patterns represent an alternative to design: rather than designing a new mechanism from scratch, just apply a well-known design pattern. ### 20.1 How to think about performance- If you try to optimize every statement for maximum speed, it will slow down development and create a lot of unnecessary complexity.- The key is to develop an awareness of which operations are fundamentally expensive.- The best way to learn which things are expensive is to run micro-benchmarks(smallprograms that measure the cost of a single operation in isolation).- For example, when storing a large collection of objects that will be looked up using a key value, you could use either a hash table or an ordered map. Both are commonly available in library packages, and both are simple and clean to use.- In general, simpler code tends to run faster than complex code.- Deep classes are more efficient than shallow ones, because they get more work done for each method call.### 20.2 Measure before modifying- Before making any changes, measure the system’s existing behavior. - First, the measurements will identify the places where performance tuning will have the biggest impact. - The second purpose of the measurements is to provide a baseline, so that you can re-measure performance after making your changes to ensure that performance actually improved.### 20.3 Design around the critical path- One of the most important things that happens in this process is to remove special cases from the critical path- When redesigning for performance, try to minimize the number of special cases you must check. Complexity：Complexity is anything related to the structure of a software system that makes it hard to understand and modify the system. If you write a piece of code and it seems simple to you, but other people think it is complex, then it is complex. Working code isn’t enough.Your most important job as a developer is to facilitate those future extensions. 脑中想的不是完成当前的工作，而应该是它是一个好的设计。This is strategic programming，not tactical programming. Strategic programming => investment mind. When you discover a design problem, don’t just ignore it or patch around it; take a little extra time to fix it. An interface: The interface consists of everything that a developer working in a different module must know in order to use the given module. The formal interface for a class consists of the signatures for all of its public methods, plus the names and types of any public variables. The informal parts of an interface includes its high-level behavior，such as the fact that a function deletes the file named by one of its arguments. An implementation: The implementation consists of the code that carries out the promises made by the interface. The more unimportant details that are omitted from an abstraction, the better. Module depth is a way of thinking about cost versus benefit. The benefit provided by a module is its functionality. The cost of a module is its interface. Information Hiding (and Leakage)Reducing complexity in two ways. It simplifies the interface to a module. Information leakage occurs when the same knowledge is used in multiple places, such as two different classes that both understand the format of a particular type of file. Conclusion: When design modules, focus on the knowledge that’s needed to perform each task, not the order in which tasks occur. 我之前一直不理解为什么返回的数据格式是自付出而不是parse好的其他类型，比如array或者object，现在看起来可能原因是在数据处理过程中，防止将原数据改掉而做的trick，然后直接返回了。可是，仍然觉的这样的行为不友好。感觉只处理了一半。 General-Purpose Modules are DeeperOne of the most common decisions that you will face when designing a new module is whether to implement it in a general-purpose or special-purpose fashion. What is the simplest interface that will cover all my current needs? In how many situations will this method be used? Is this API easy to use for my current needs? Pass-through methods 不应该存在。They are bad because they contribute no new functionality. Global variable create other problems. Pull Complexity DownwardsIt is more important for a module to have a simple interface than a simple implementation. 谨慎暴露配置参数，再三问自己用户真的需要知道决定这个变量么？ Better Together Or Better ApartOne of the most fundamental questions in software design is this: given two pieces of functionality, should they be implemented together in the same place, or should their implementations be separated? It is hard to understand one of the pieces of code without looking at the other. 耦合性重的要在一起，可复用的要分开。Each method should do one thing and do it completely. Define Errors Out of ExistenceA particular piece of code may encounter exceptions in several different ways. 不可逆操作之前尽量做一步挽回操作预留。Overall, the best way to reduce bugs is to make software simpler. Exception aggregation: As a result, bugs in recovery are more likely to be discovered and fixed. One way of thinking about exception aggregation is that it replaces several special-purpose mechanisms, each tailored for a particular situation, with a single general-purpose mechanism that can handle multiple situations. Just Crush 不是所有问题都要被解决。重启大法好。You must determine what is important and what is not important. Design it TwiceNo one is good enough to get it right with their first try. Why Write Comments? The Four Excuses， Write The Comments FirstThe process of writing comments, if done correctly, will actually improve a system’s design. Good code is self-documenting. Wrong. Benefits of well-written comments: The overall idea behind comments is to capture information that was in the mind of the designer but couldn’t be represented in the code. Comments Should Describe Things that Aren’t Obvious from the codeDevelopers should be able to understand the abstraction provided by a module without reading any code other than its externally visible declarations.